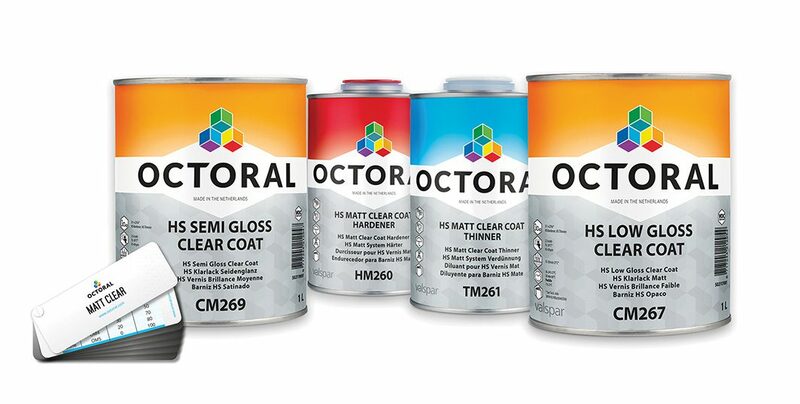 Octoral Matt Clear, a new matt clear coat system from Valspar Automotive, allows bodyshops to confidently reproduce any OEM or custom automotive matt finish quickly and accurately. The resulting Matt Clear finish is just as resistant and hard-wearing as the factory-applied original. By using a system that mixes two clear coats (low gloss and semigloss) plus a dedicated matt hardener and thinner, new Octoral Matt Clear allows users to achieve the exact matt gradient needed. A Matt Clear Swatch aids accurate matching, whilst cross layer application delivers a uniform even finish.